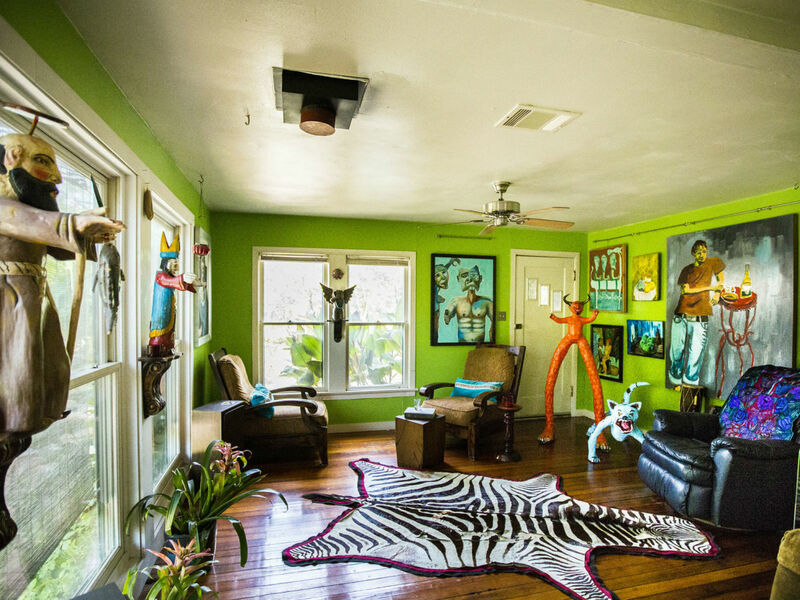 The weird and wonderful abodes of Austin will get their time in the sun this weekend. 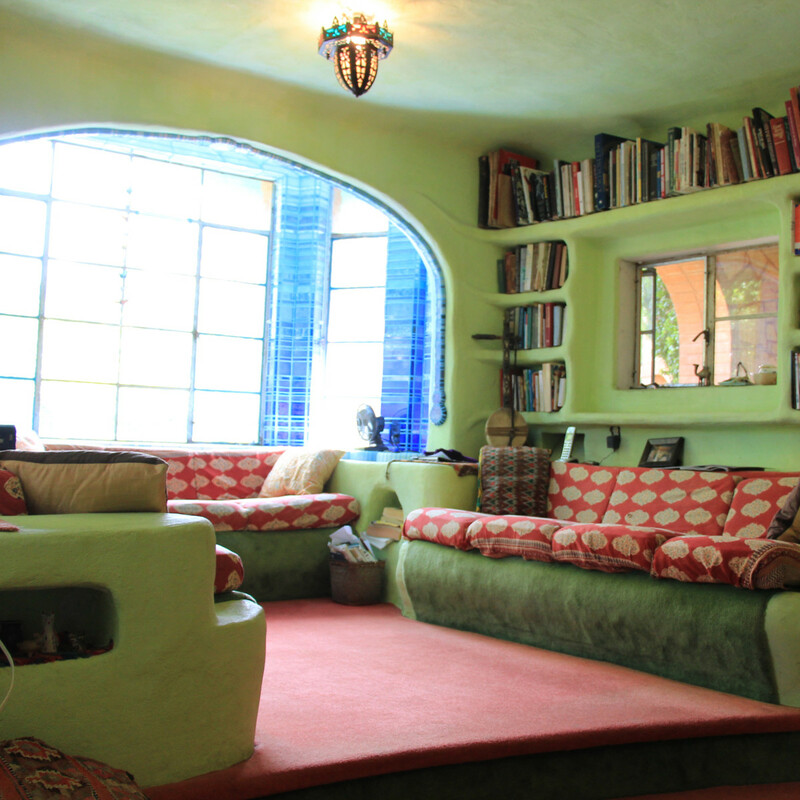 On Saturday, May 7, the third annual Weird Homes Tour will feature some of the weirdest dwellings in our city. 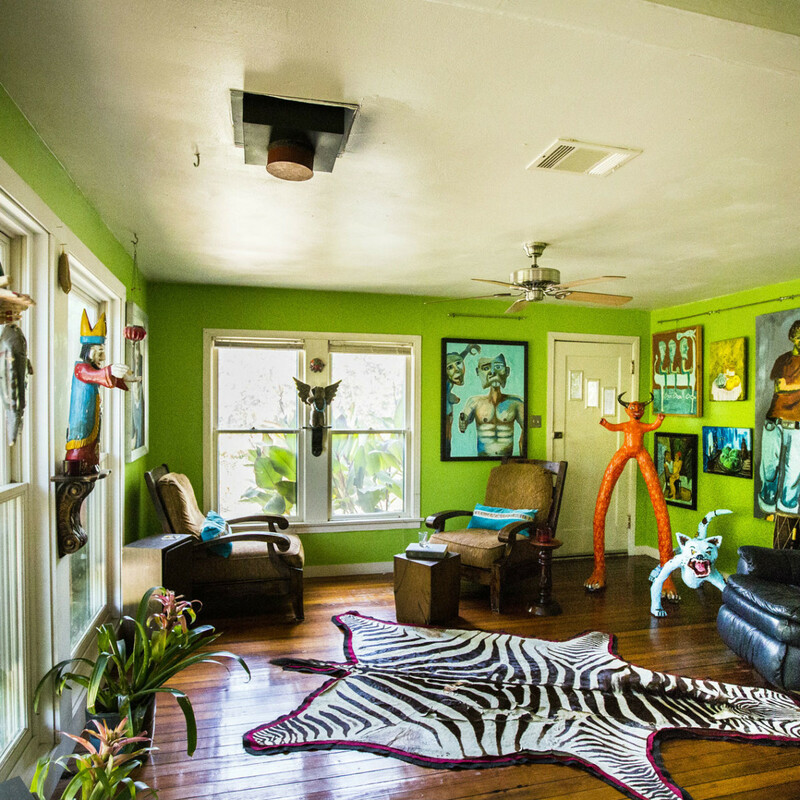 With 11 houses showcased for 2016 — the most the tour has ever had — guests will embark on a self-paced, self-driving tour of Austin’s most unique, eccentric, and magical homes. From Professor Dumpster’s latest design project to the Community First Village and a performance artist’s Village of the Witch, the Weird Homes Tour is promising a spectacular year of awe-inspiring sights. 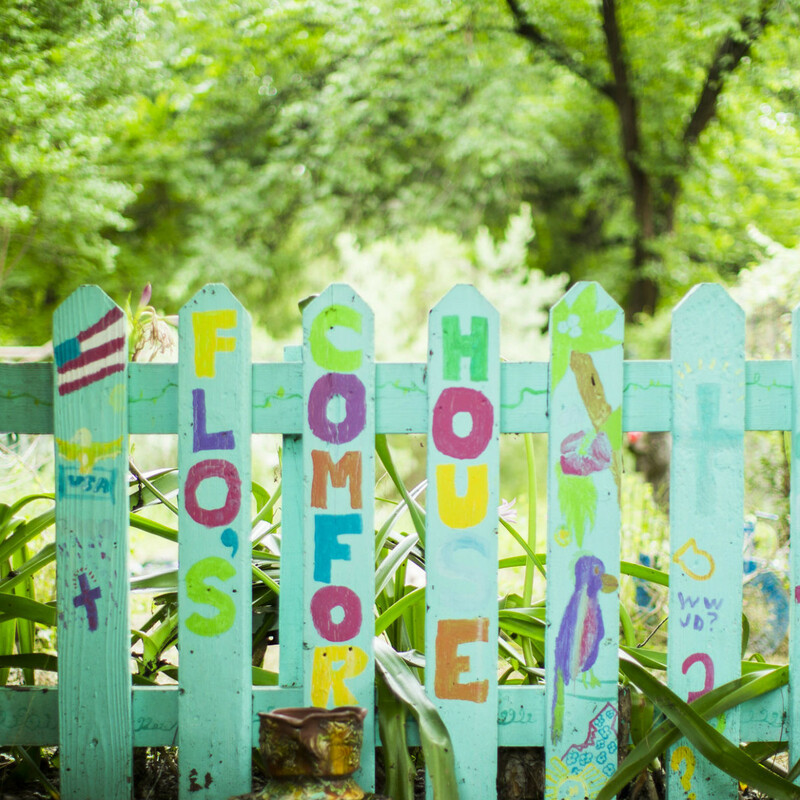 Founded by husband and wife Chelle and David J. Neff, the Weird Homes Tour gives Austinites a glimpse into the personal lives of local artists, performers, and creatives, with the goal of fighting for affordable housing in Austin. This year, the tour benefits Foundation Communities Affordable Housing program. 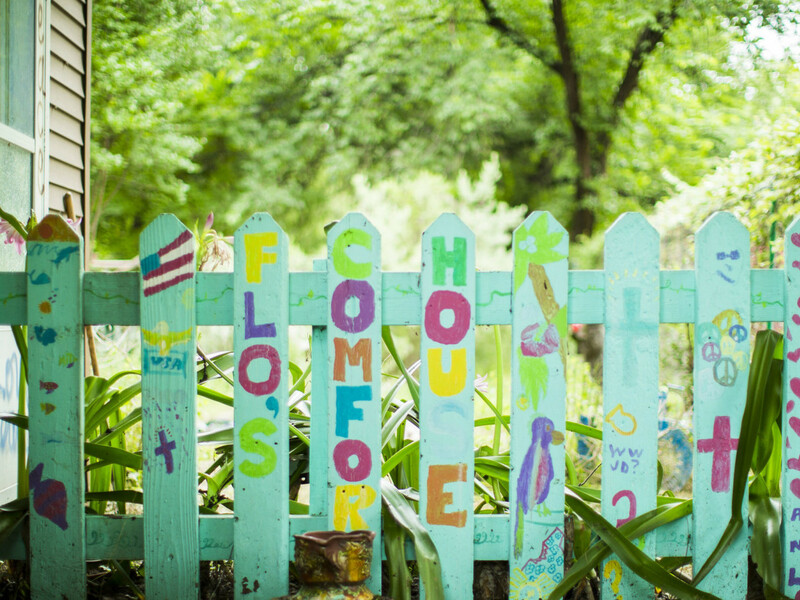 In addition to providing affordable housing, the Foundation Communities program also supports services in education, financial stability, and health. The Freeman House is hidden from view yet boasts 2,300 square feet of intrigue. A hand-built, 6-foot limestone wall guards the home with outdoor features like a chicken yard, two koi ponds, an aviary, and tropical garden. Original oil paintings and strange decor fill the Mexico-inspired hacienda. 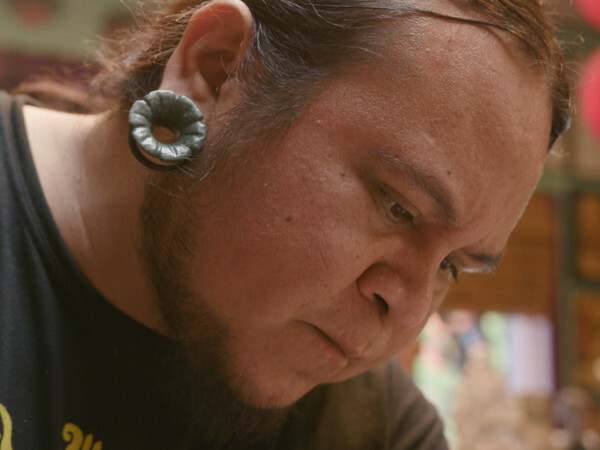 Owned by artist Darryl Freeman, there’s also a work studio on-site. 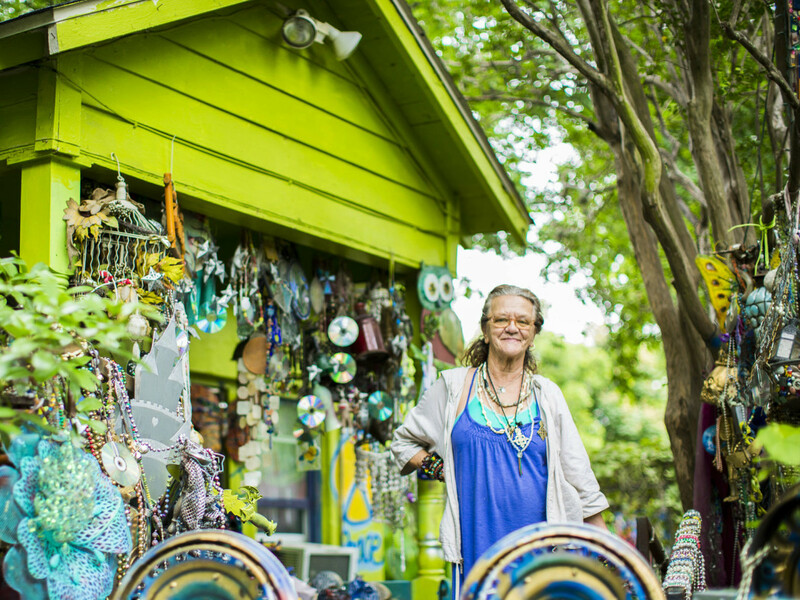 In East Austin’s Montopolis neighborhood, 74-year-old Florence Ponziano is holding down the fort at the colorful home she’s lived in for 25 years. Ponziano uses her house to reach out to kids in her community, providing food, clothing, school supplies, and a safe place to study and play. On the tour you can get an exclusive look inside this wild home. 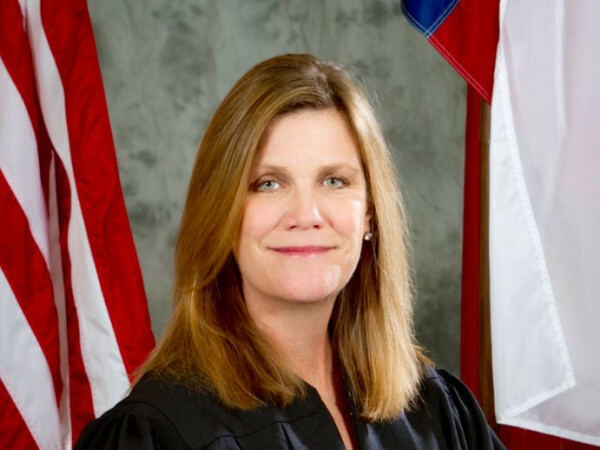 Ponziano will also be selling art to benefit her nonprofit. 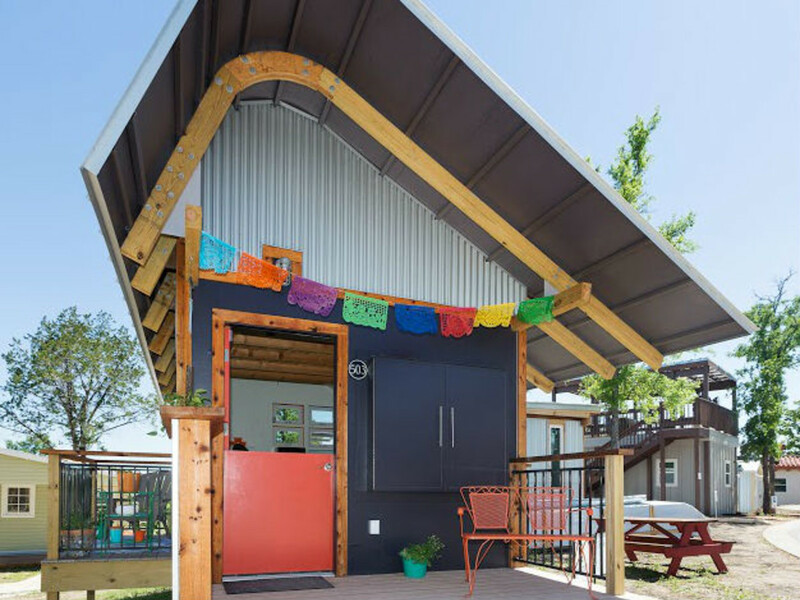 Most well known for living out of a 33-square-foot dumpster at Huston-Tillotson University for over a year, Jeff Wilson (aka Professor Dumpster) has embarked on a new home design project entitled Kasita. 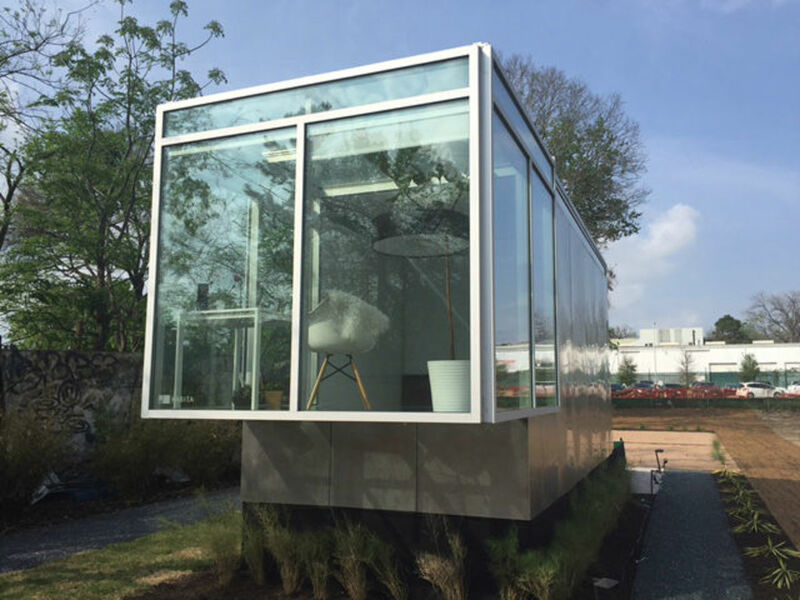 These 270-square-foot dwellings are stackable and come complete with a walk-in shower, queen-size bed, desk, and table, which when completed will rent for about $600 per month. 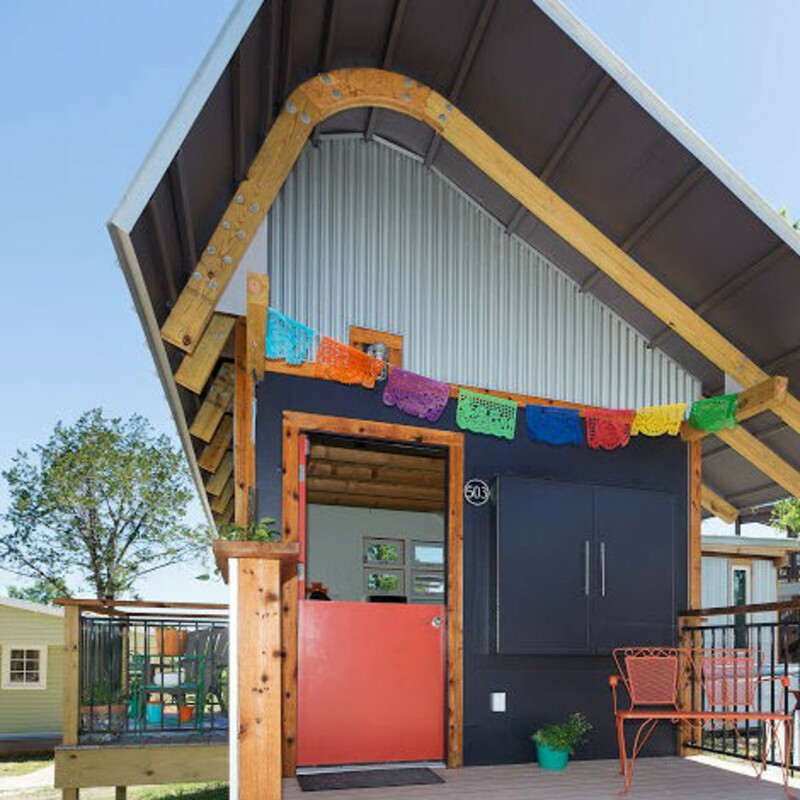 Community First is a housing development designed for the homeless population of Austin. 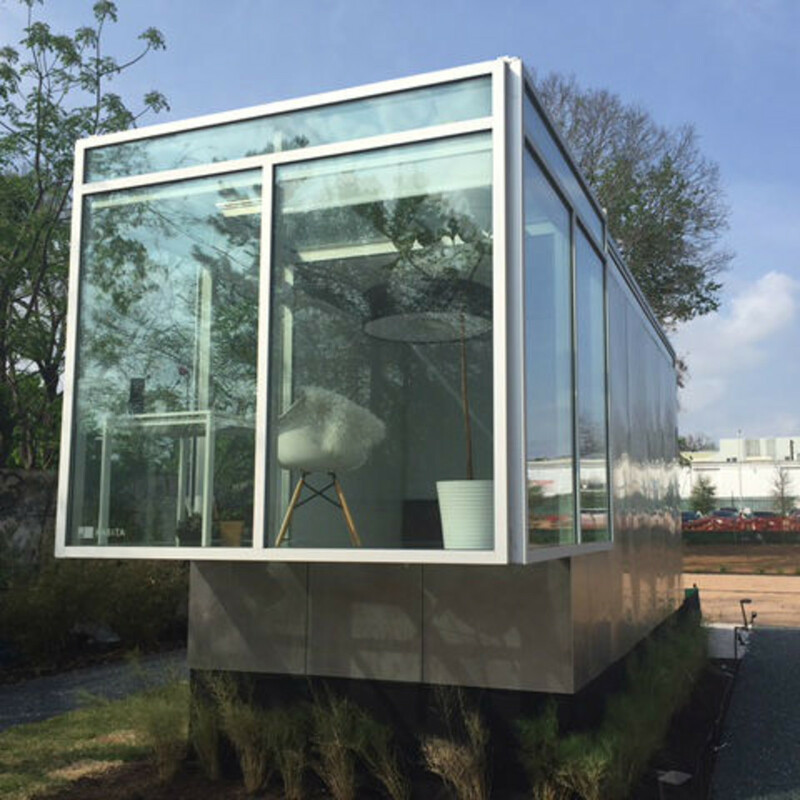 Located near Walter E. Long Park, guests will witness the community's 27 acres and 140 tiny homes. 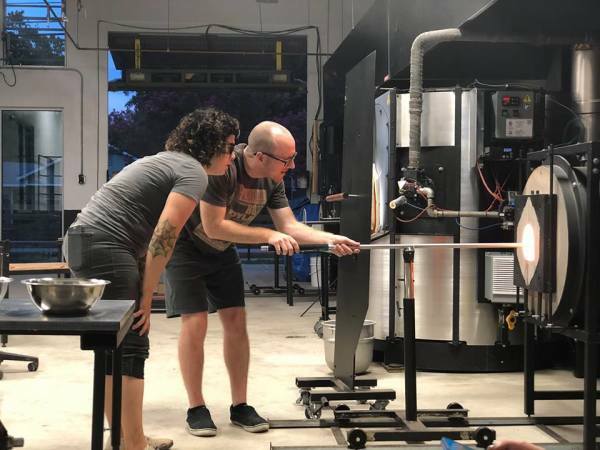 Community First also has RVs and tipis as living spaces, communal outdoor kitchens, private bathrooms, and laundry facilities, as well as a medical center, movie amphitheater from Alamo Drafthouse, a woodworking shop, chapel, and market. 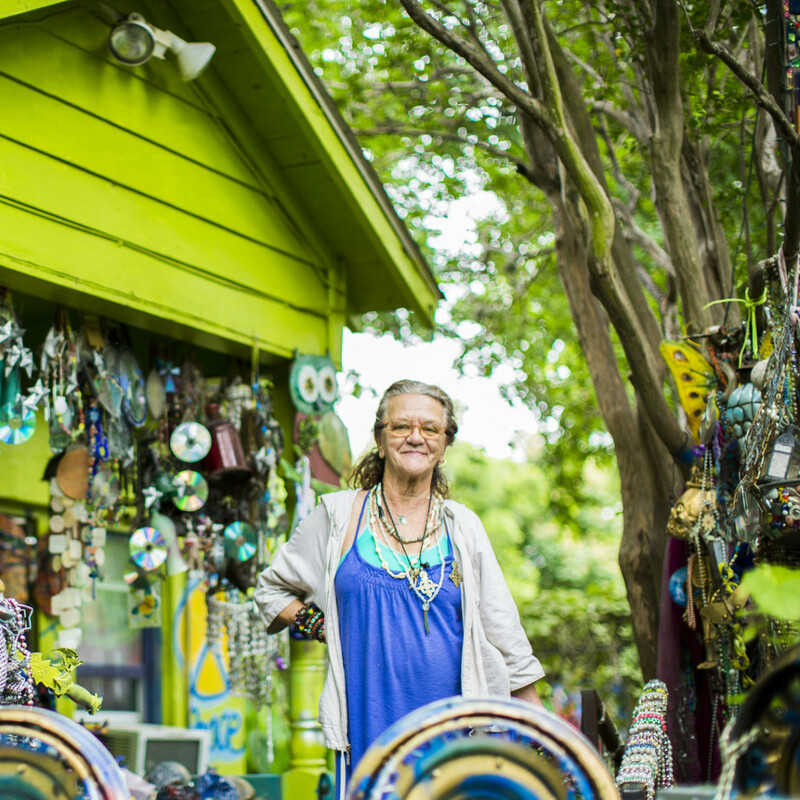 The Barton Hills Art Oasis is owned by Austin metal artist Valerie Chaussonet. In her home, metal sculptures are featured in every room including the Russian witch Baby Yaga that guards the library. The house is an evolving piece of artwork with sky-painted ceilings, mosque-inspired doorways, and closeted bookshelves. 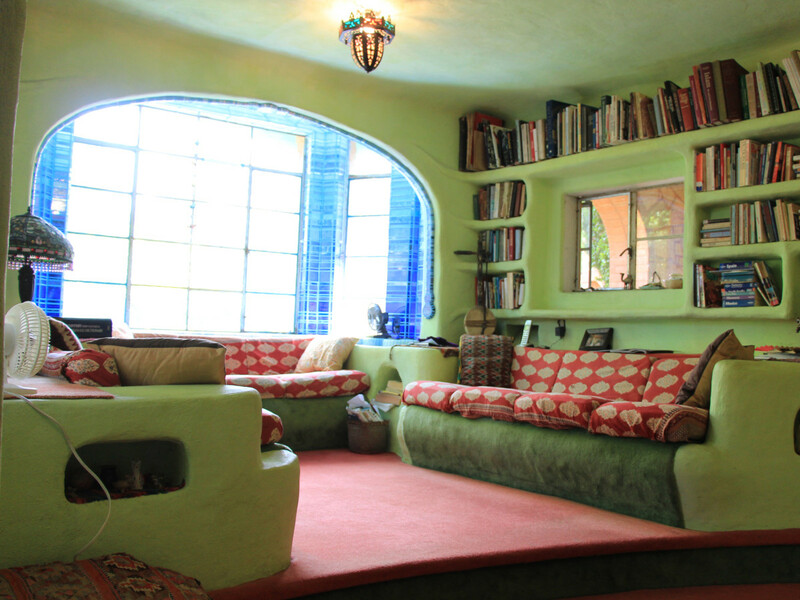 Weird Homes Tour takes place Saturday, May 7 from 10 am to 6 pm. Tickets are $30 for the tour; $45 for the tour and VIP after party from 6 to 9 pm at Canopy Studios. Kids 13 and under tour for free.